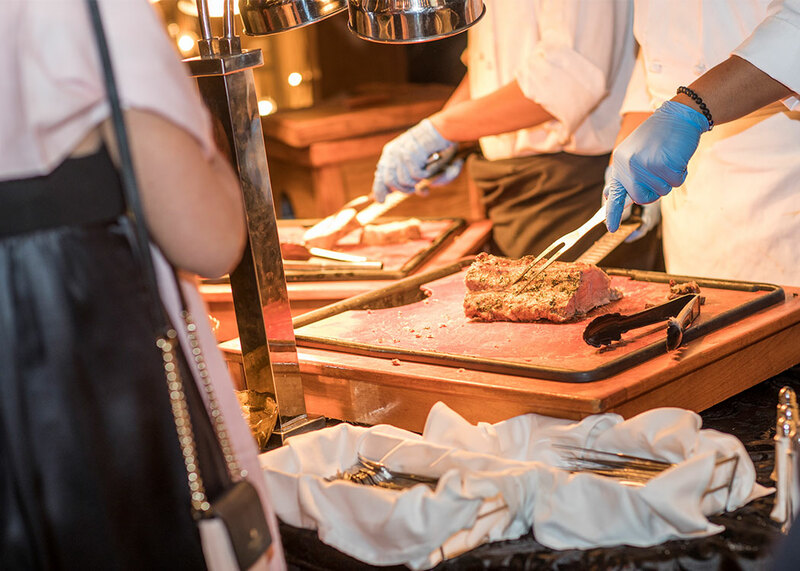 Our culinary team serves and caters to events of all sizes. Grand Geneva uses only the freshest produce and the finest meat and seafood in preparing our catering menus for your special event. All of our menus change seasonally, so you can work directly with your event manager to create an unforgettable dining experience for everyone in your group. In addition to banquets and catering, Grand Geneva offers private dining Services in our restaurants, Accommodating groups with up to 40 guests. We feature customizable catering packages to entertain your wedding guests, from pre-wedding festivities to your farewell brunch. Grand Geneva Resort & Spa takes the stress out of planning your wedding with packages that include everything from custom linens to your wedding cake (made in house by our pastry chef!) We'll even provide a FREE wedding menu tasting and wedding night suite for the newlyweds!